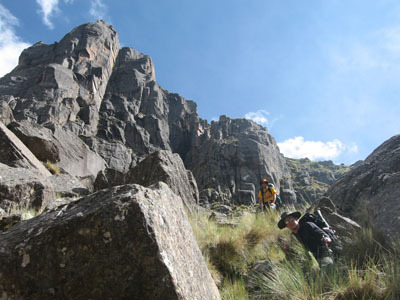 The Tunari National Park is on of the mayor atractions of the city and the department of Cochabamba. 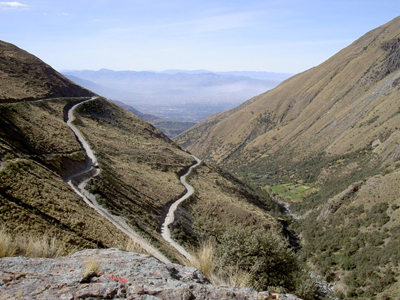 It is located in the north of the central valley of Cochabamba, close to the city of Cochabamba and its suburbs Quillacollo, Sacaba, bordering the whole northern part of the province with more than 300.000 hectares. Its numerous lakes are providing water to the whole metropolitan area. 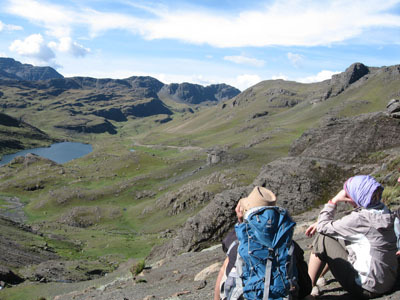 For its proximity to the city of Cochabamba, the Tunari National Park has an interesting potencial for the development of ecoturism activities. 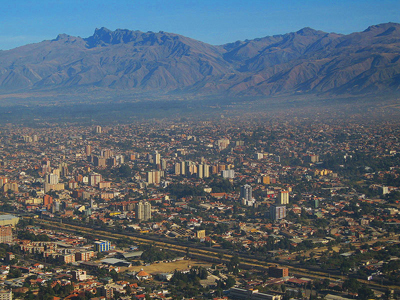 The area is of easy access through its southern part as the parks border is close to the main road which connects La Paz, Cochabamba and Santa Cruz. At the time of investigation the park has registered 30 species of mammals, 188 species of birds, two reptiles and two amphibians. Pointing out the Andean Cat o called "Titi", the Condor, the Vicuna, Lama, Alpaca, Viszcachas and Andean Gooses among others. 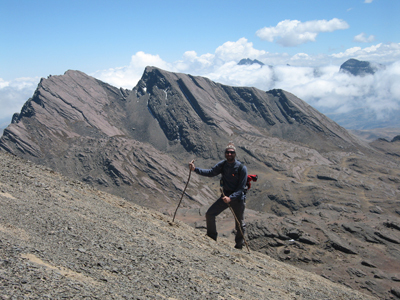 The Cerro Tunari (or Pico Tunari) wiht 5.035 mts. 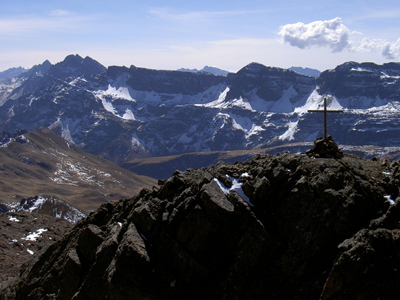 Central Bolivias highest peak located in the Tunari National Park and towering above the city of Cochabamba. 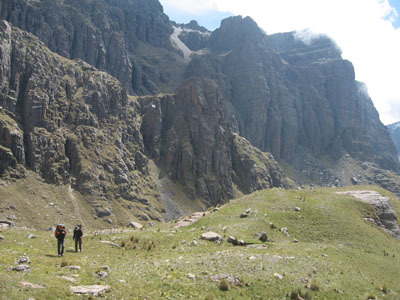 The access to the top can be made on foot from the central valley of Cochabamba (south face - two days hiking tour) or by 4WD reaching 4.600 mts. and the last part on foot from its north face (one day tour). 1) From the Berghotel Carolina – Mountain Lodge, located in a 120 hectares private nature reserve, at an altitude of 2.900 mts. offers comfort, great views, and eco trails for guided and self guided tours within the Tunari National Park as well as to the top of Pico Tunari. 2) From the leisure park of Pairumani. 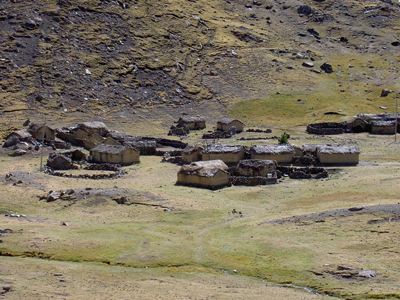 3) From the village of Falsuri. 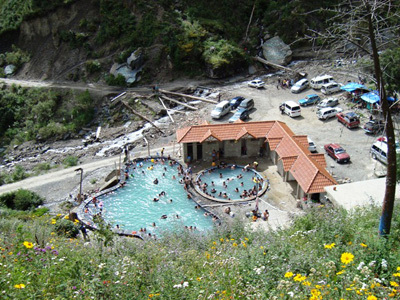 The hot springs of Liriuni are located about 20 kilometres of the city of Cochabamba. The medical properties of the water because of its high concentration of minerals, make it a famous weekend destination for locals to enjoy the large pool and the private rooms with tubs filled with thermal water, as part part of the facilities. 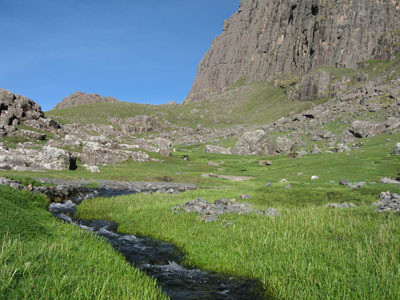 San Miguel at present is an area which lies closest to the city with a such high level of biodiversity in the whole Americas. Approx. 50 kilometres from the city along the road to Morochata (pasing Liriuni), you will find a forest of 50 hectares of kewiña trees bordered by the up rising slopes of a canyon. This forest which is located in the central part of the Tunari National Park, has converted into a true oasis hosting more than 50 species of birds, more than 10 spiecies of mammals, and more than 20 types of plants. Furthermore it exists a bird unique in the whole world, which you can find only in the Tunari National Park. The Poospiza garleppi, a bird which is threatened by extinction because of logging in it natural habitat - kewiña forest. 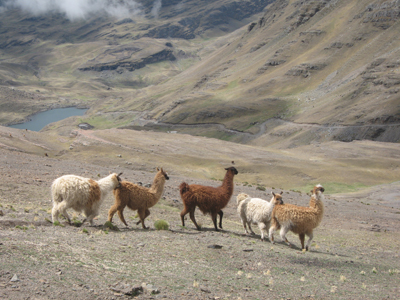 With 1398 spiecies, Bolivia is among the ten countries in the world with the highest level of diversity of birds. Bolivia has 45% of all species to be found in South America, among them 20 endemic species which you will find only in Bolivia. 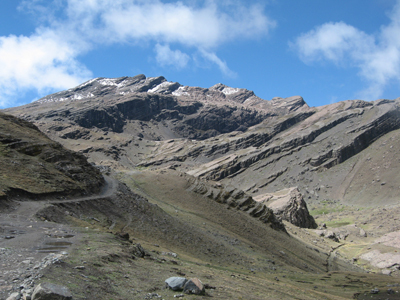 In Cochabamba department there are 470 species resident, from which 188 species live in the Tunari National Park. 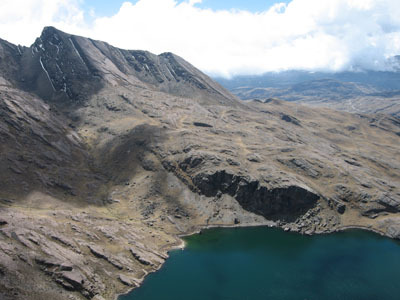 13 of the 20 endimic spiecies of Bolivia, are found in Cochabamba department - the most important one is the Poospiza garleppi which can only be found in the Tunari National Park. Für Information über Touren oder Trekking in der Cordillera Tunari, bitte klicke hier.